Deezer has become the first music streaming subscription service to integrate with IFTTT (If This Then That). The web service allows users to aggregate their apps into one place and set up automated actions, otherwise known as “recipes”, so when an action is performed in one app, it triggers an automatic response in another. Now that Deezer is integrated into IFTTT, users can perform actions in their Deezer app to trigger a response from another app also integrated on the web service. 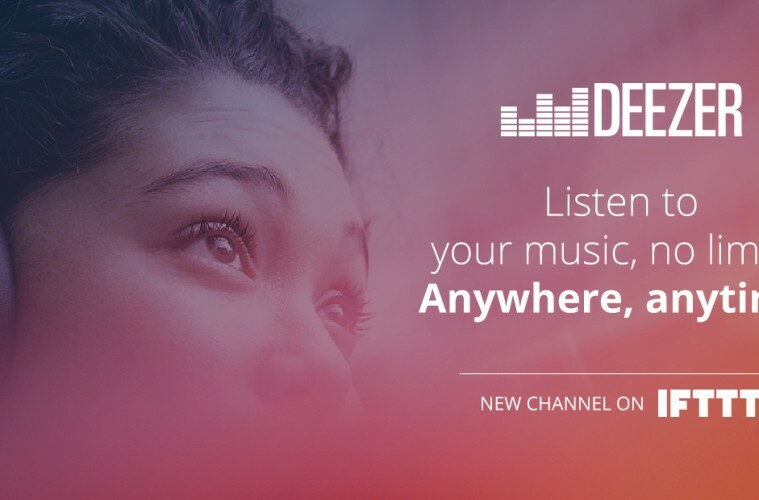 With a vast array of third party services already connected with IFTTT, there are a number of “recipes” users can now set up to make their Deezer experience more connected and personalised. To check out the new recipes on IFTTT, visit here.